Enquiry to Love the skin you're in! Please complete the form below and your enquiry will be sent directly to Love the skin you're in! via email. Your enquiry has been sent to Love the skin you're in!. 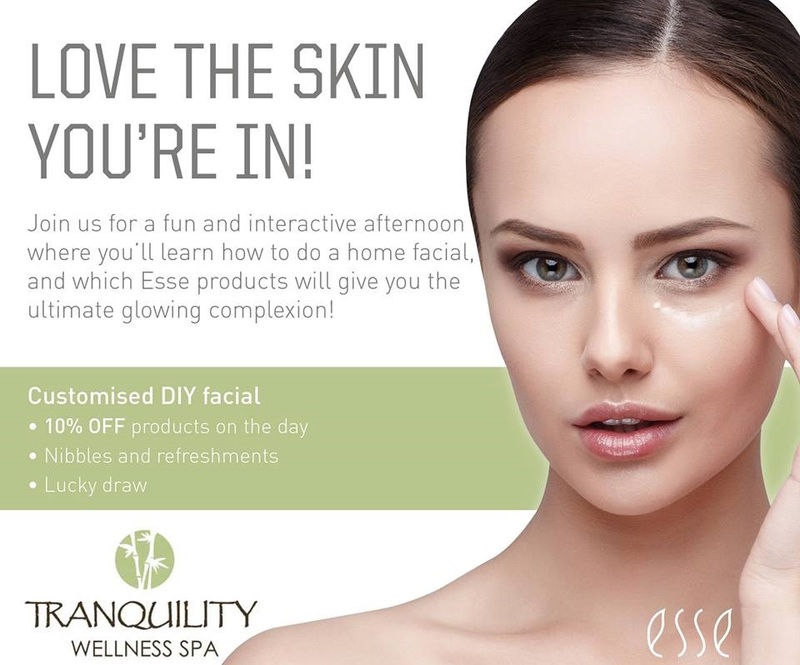 Join us for a fun and interactive afternoon where you'll learn how to do a home facial, and which Esse products will give you the ultimate glowing complexion. Great news - You will also get 10% OFF products on the day. Nibbles & refreshments will be served. There's also lucky draw prizes to be won. Cost is R100 per person. RSVP by 16 April 2019. Limited seats available.